Founded in 1913 by Lionel Martin and Robert Bamford as “Bamford and Martin LTD”, Aston Martin has become one of the most successful British luxury and sports car brands in the world. The name “Aston Martin” originated in 1914 after Martin’s success in the Aston Hill Climb race which gave the automakers early recognition. The two produced their first motor vehicle in 1915, however their efforts were put on hold due to the outbreak of World War I at which time each of the founders enlisted in separate divisions of the British military. After the war, the automakers struggled through the financial turmoil of the 1920’s while endeavoring to produce racing models. In 1922, Bamford & Martin produced two vehicles for the French Grand Prix, one of which went on to set world speed and endurance records at the world’s second professional motorsports track Brooklands. 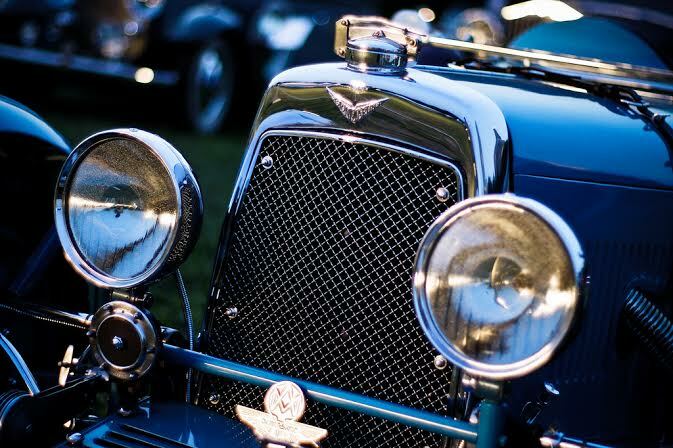 Bill Renwick and Augustus Bertelli took the helm in 1926, at which time the Aston Martin brand started to gain a foothold producing what has come to be known as the “Bertelli cars”. New investors and new management continued to produced racing and consumer vehicles on a small scale under the Aston Martin name. At the 1933 Le Mans race Aston Martin vehicles placed first within their class leading to a large upswing in notoriety and prestige. However in 1936, Aston Martin decided to concentrate on road cars, producing an estimated 700 vehicles before the onset of World War II. During WWII production on motor vehicles halted and the company’s focus shifted to aircraft components for the military. In 1947 the Aston Martin brand was acquired by English entrepreneur David Brown who revved up vehicle production and acquired auto manufacturers Lagonda, famous for their 2.6 liter engine designed by W. O. Bentley. Brown introduced the DB series in the 1950’s and 1960’s to huge racing success and public acclaim. In 1963 one of the most critically acclaimed and publically noted vehicles of all time went into production, the DB5. Better known as the “James Bond” car, the Aston Martin DB5 not took the automakers from noted race car producers to pop culture icons, forever changing the prestige and public perception of the brand. The DB5 lead to tremendous success for the brand and remains one of the most prized models to date. Reprising their role as the “James Bond” car in the 1990s and 2000’s, Aston Martin became synonymous with speed, style and being on the forefront of “cool”. Despite changing ownership, the Aston Martin brand continued to produce many iconic high-powered and luxury vehicles over the last few decades and remains a world renowned producer of exotics and sports cars. At Condon Skelly, we know how exciting collecting exotic, classic and sports cars can be. That’s why we specialize in offering complete collector car insurance. Our team is as passionate about protecting your vehicles as you are about collecting them. We’ve been helping our customers protect their collector cars with affordable, industry-leading insurance coverage since 1967. We’re a group of collectors, enthusiasts, and professionals who specialize in insuring all types of collector vehicles. For more information, contact our antique car insurance specialists today at (866) 291-5694. When it comes to classic cars, what does your mind first go to? Typically it will be old American muscle cars, or the Chevys and Fords of yesterday. Another car brand though that has made its impression on the classic automobile world is Hudson Motor Car Company. Hudson Motor Car Company, founded by auto pioneers Howard Coffin, George W. Dunham, and Roy E. Chapin, was largely funded by department store owner Joseph L. Hudson, hence the name. In 1910, when America was rife with automakers, Hudson was the eleventh-largest auto company in the country, despite it only being its second year of production. What was it about these cars that made them so attractive to buyers? Their early cars were mainly closed models, which meant they sealed out the weather unlike most other vehicles at the time. This is thought to have contributed to their popularity, just one of the signs that Hudsons were advanced for the time. Hudson also made other innovations that weren’t seen in other automobiles; the steering wheel was put on the left and hand levers were put in the center, which are their modern positions. Hudson also adopted GM’s self-starter earlier than most automakers, an addition that made cars easier and safer to start. Hudson also had the first balanced crankshaft. This crankshaft helped to increase smooth idling and allowed the engine to rev higher. 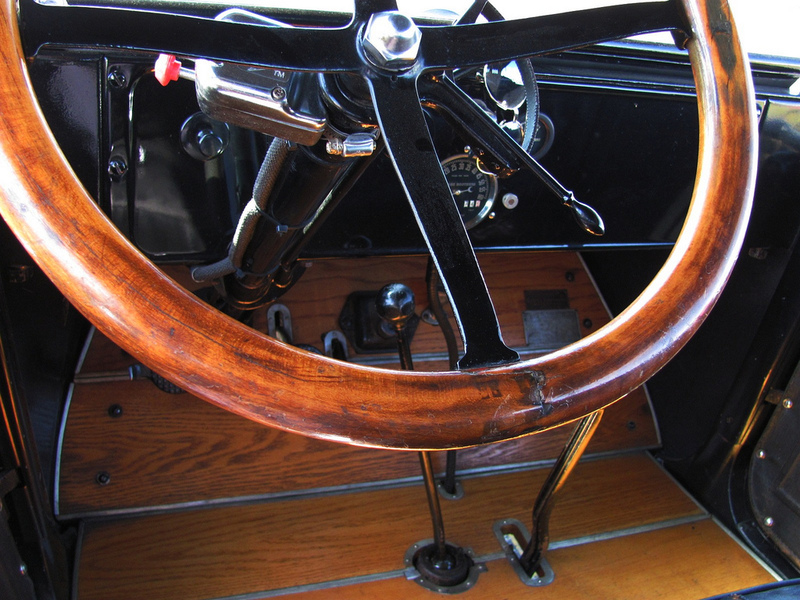 Some Hudsons included dual brakes and mounting oil pressure and generator warning lights on the dashboard. The Hudson legacy lasted through the next couple of decades to become the third-largest automaker in the U.S. by 1929, behind only Ford and Chevrolet. Unfortunately, the Great Depression hurt the brand lost some of its popularity. Sales persevered though, until 1957 when the last Hudson rolled off the Kenosha assembly line. 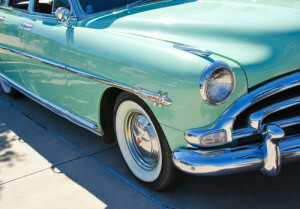 Whether you own a classic Hudson or any other type of classic or antique car, it’s important to protect it financially with the right type of insurance coverage. At Condon Skelly, we know how exciting it can be to start a classic car collection. We’ve been helping our customers protect their classics with affordable, industry-leading insurance coverage since 1967. 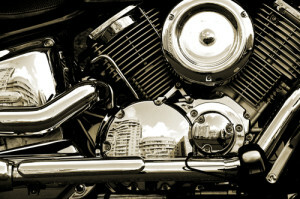 We’re a group of collectors, enthusiasts, and professionals who specialize in insuring all types of collector vehicles. For more information, please contact us today at (866) 291-5694.
Who doesn’t appreciate the Model T? 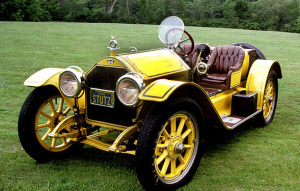 Also known as the “Tin Lizzie,” this automobile changes the way that Americans lived, worked, and traveled. According to History.com, he Model T was the first car to be affordable to a majority of Americans due to Henry Ford’s groundbreaking advancements in assembly-line automobile manufacturing. The Ford Motor Company built the Model T from 1908 until 1927. The vehicle was conceived as affordable, yet practical, transportation for the common man. Henry Ford’s creation soon gained a reputation for being inexpensive, durable, versatile, and easy to maintain. Ford’s assembly-line production methods eventually allowed the price of the touring car version to be brought down from its original $850 in 1908 to less than $300 in 1925. Due to these extremely low prices, Model T could comprise of as much as 40% of all cars sold in the United States during the years they were in production. All bodies of the Model T (there were several different kinds) were mounted on a uniform 100-inch-wheelbase chassis. The types of body styles included a five-seat touring car, a two-seat runabout, and a seven-seat town car. From 1913 to 1925, the Model T was mass-produced in only one color- black- despite it originally being available in a variety of colors. Model Ts were used for many different purposes than just a convenience vehicle; they were used as snowmobiles, to power farm machinery, sausage grinders, and newspaper presses. The immediate appeal of this vehicle was based on its sturdiness, power, and value for the money. Earlier this summer, we looked at the rising value of Japanese classic cars, stating that their value has skyrocketed in recent years. While not as popular as perhaps the Datsun or classic Toyotas, Mazda has definitely made its mark in the world of classic cars. Mazda has become well known for its affordable, quality-performance vehicles; namely the Miata, “the world’s best-selling two-seat roadster,” according to an article from History.com. So, how did the Mazda legend begin? 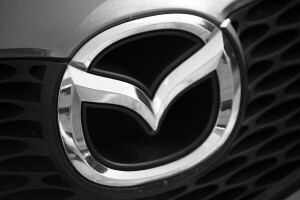 The Mazda brand originally started as a machine manufacturing company called the Toyo Cork Kogyo Co., Ltd. Founded by Jujiro Matsuda in 1920 in Hiroshima, the company had to be saved from bankruptcy almost a decade from its start, and went on to produce its first automobile. Eventually, the company’s name was changed to Mazda. 1931 saw the brand releasing the Mazda-Go. This was a three-wheeled vehicle that resembled a motorcycle, but with a cargo-carrier at the back. The company went on to develop more cars, however this was halted during World War II and the bombing of Hiroshima. They started developing small, four-wheel trucks in the 1950’s and launched their first passenger car in 1960 in Japan. This vehicle was called the R360 Coupe. Mazda debuted their first rotary engine car, the Cosmo Sport 110S, seven years after the development of the Coupe. It wasn’t until 1970 until the Mazda entered the American Market, with the R100 coupe. This was the first mass-produced, rotary-powered car in the U.S. 8 years later, the Mazda RX-7 debuted. At the time, this was an affordable, “peak-performing” sports car. Mazda continues to be a relevant and affordable brand today, with sales of their MX-5 Miata reaching their 25th year, topping 900,000 sold vehicles. Whether you own a classic Mazda or any other type of classic or antique car, it’s important to protect it financially with the right type of insurance coverage.